Welcome to Upstate Health, a magazine produced by Upstate Medical University to inspire healthy living. 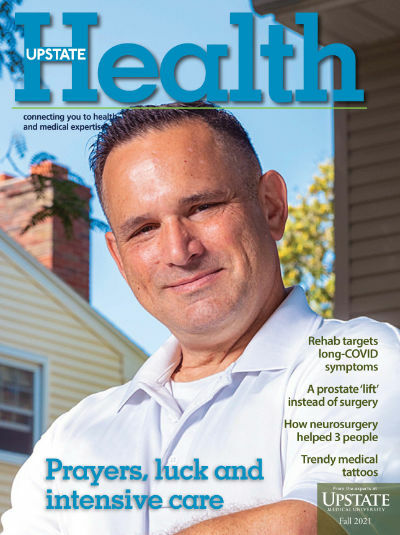 You will find stories about medical care and wellness, of course, but also a variety of articles that pertain to life in Central New York. Our experts share advice on caregiving, food and leisure activities. Subscribe to our printed publication in the mail or to receive the electronic version via email. Last Modified: March 15, 2019. Contact Darryl Geddes with questions about the content of this page.